Empower Boxing Alexandria is part of a world-wide license program founded by 8th degree Joe Lewis black belt and kickboxing world-champion Mr. John Graden. 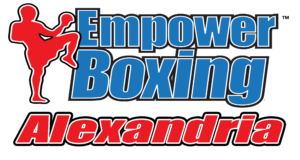 Empower Boxing Alexandria offers 9 classes per week in Alexandria and has a satelite location in Sauk Centre that offers another 4 classes per week. Please go to www.EmpowerBoxingAlexandria.com for more details about this exciting program for students ages 12 and up of any ability level. This is NOT a full-contact, sparring-based boxing program. This is a program that uses boxing and kickboxing techniques to enhance students lives and keep them safe in today’s increasingly dangerous world. Students from the ages of 4 – 5 years old learn gross motor skills, balance, improve their coordination, enhance their focus, and develop martial arts techniques they can use in later programs, all while have fun playing a variety of martial arts-based drills and games. In addition, our Little Tigers program includes the Martial Arts Teachers Association Life Skills Curriculum and each class focuses on learning an important character building and leadership lesson. This session the lessons are focused around the skill of Respect. Class sessions are on Tuesday afternoons at 4:00 pm that begin on Tuesday, September 4, 2018. Registration for this program opens Monday, August 6 and closes on Friday, August 24. Do you want an activity for your child that is safe, fun, engages them mentally and physically, and helps them become better students and people? Information about our homeschool martial arts program can be found by clicking here. 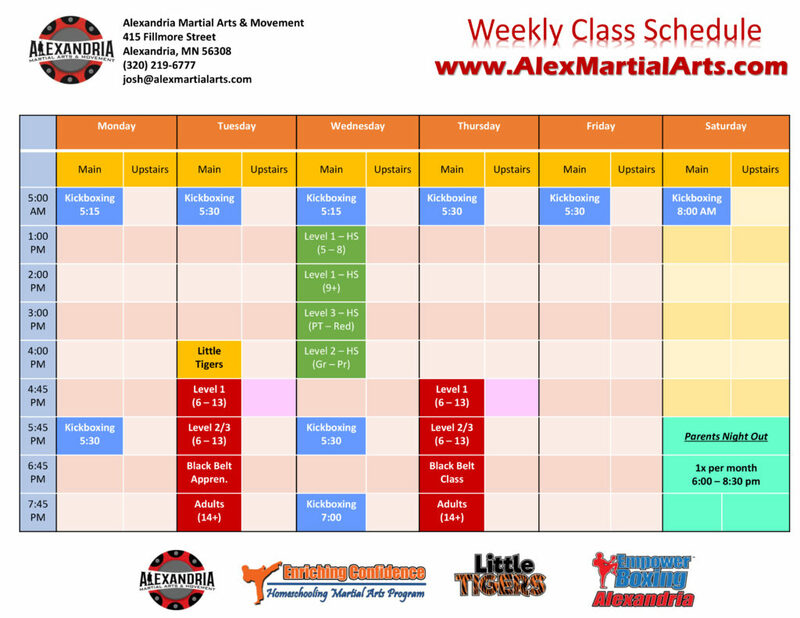 The evening program of Alexandria Martial Arts and Movement will be held on Tuesday and Thursday evenings at our new facility at 415 Fillmore Street in Alexandria, Minnesota.